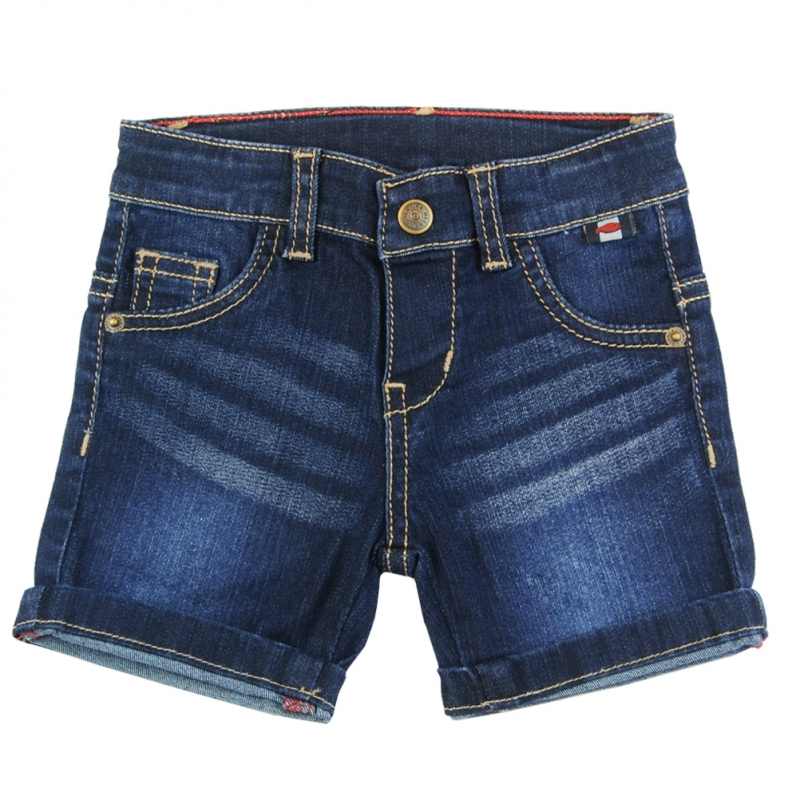 Jeans bermudas, for baby boys. It's provided with a snap opening, 2 front pockets and 2 back pockets. It has a Week-end à la Mer patch in the back. Their golden seams bring a very chic look to the model.